There are distinct pathways through the field, cutting through the vast expanse of untouched snow. 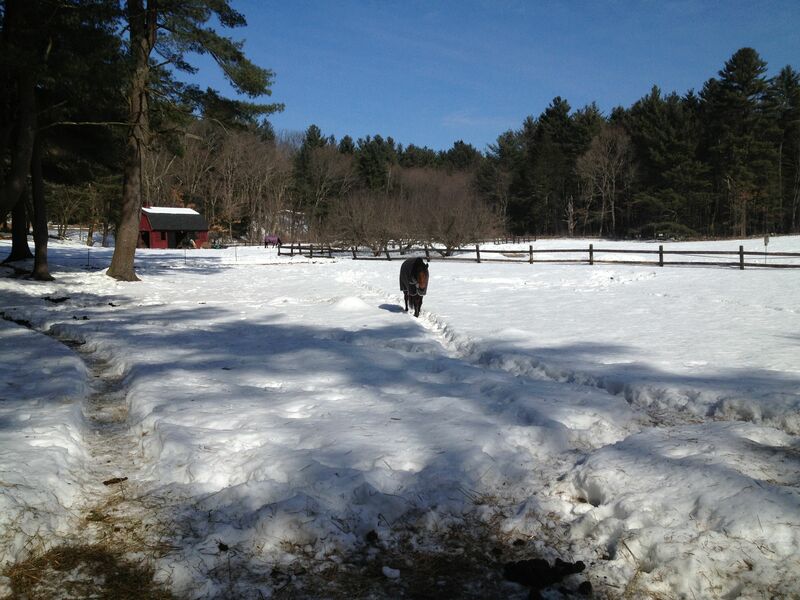 The horses have adapted to the snow. Like a giant ant farm, they have created their own “tunnels” or pathways to travel between the important parts of the field — to the fence line, where they meet over the fence, to the gates (although it’s practically too icy to leave the fields), and to each of the stalls. In between are vast expanses of untouched snow, now hard and crusty, too deep and dense to be inviting. Freedom will come to meet me at the gate and instead of turning around will back up all the way to the barn to avoid the deeper snow. What kind of boarder are you? I knew he had another career waiting in the wings!